On the second run a new full backup is created and saved to Acronis Secure Zone. 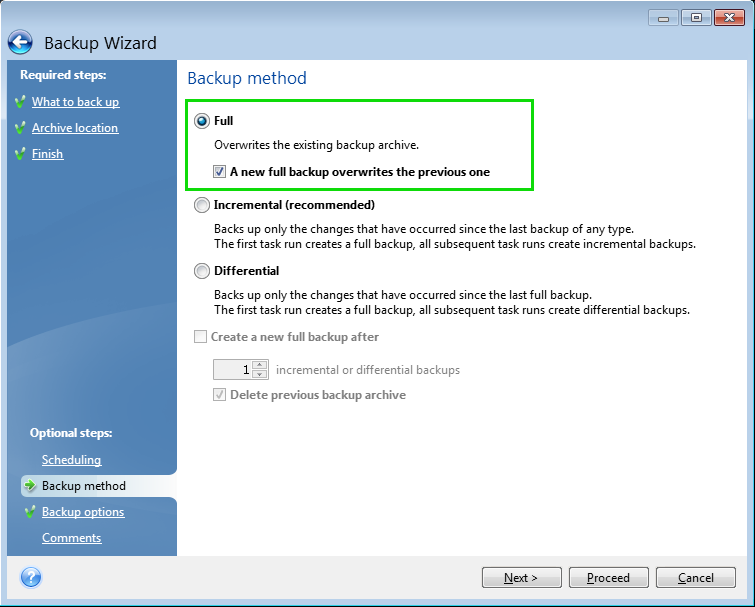 The first full backup is not overwritten by the second one - instead, there are two full backups in Acronis Secure Zone. This has been fixed in the latest officially released build of Acronis True Image Home 2010. For information on how to download and install it see Installation of the latest update of an Acronis product.